Apart from demonstrating the latest research in the field, the conferences aim to promote cooperative research, activism and art in the formulation and development of political proposals. Furthermore, we attempt to provide the necessary means and tools for people engaged in degrowth research and praxis to network at and between the conferences, increasing the potential of our movement to contribute to needed societal transformations. This includes degrowth.info (with the media library and the degrowth blog), a mapping of degrowth groups and scriptum, an open source platform – developed by Ecobytes in collaboration with conference organizers – to manage the submission and review process of the contributions to the conferences. · Paris (2008): Organized by Francois Schneider with Denis Bayon and Fabrice Flipo, with 140 participants, mainly academics from fields such as ecological economics. Most participants were presenters. In just a few days we were submerged in requests to participate. It launched the term ‘degrowth’ in English. « Décroissance » in France was mainly used by activists, but in this conference we wanted to reach international scientists. A workshop led to the Conference declaration here. · Barcelona (2010): With 500 participants, parallel sessions with academic papers and also workshops. Initiated by François Schneider, the conference organisation became very participative, forming a strong Barcelona R&D group. It featured a diverse audience of activists and practitioners, an innovative range of beautiful poster presentations and a Group-Assembly Process (GAP) on 30 topics. The conference declaration can be read here. · Montreal (2012): This was the first conference in the Americas. It hd 500 participants, involving all 5 main universities in Montreal, French- and English-speaking. It brought together academics, activists, environmentalists and indigenous peoples from Canada, the USA, Europe and Latin America. Over 5 days, 95 trilingual presentations and workshops linked the themes of grounding, knowing, connecting, relating, sharing and experiencing, with a focus on links with the Global South and the North. · Venice (2012): This time with 1000 participants. The Italian degrowth tradition helped to move the focus away from only (ecological) economics to post-development, culture, democracy, commons and spirituality. Its hybrid formula – with scholars and activists discussing together in over 60 participatory workshops – and a massive participation by young people and women from all over the world injected some new blood into the degrowth movement, while calling for an alliance with the movements for social and environmental justice. · Leipzig (2014): Again with over 3000 participants. This conference was notable for its democratic organization, focus on the Global South, and alliances with other social movements. · Budapest (2016): Back to ‘small is beautiful’ with 600 participants, plus decentralized activities open to all during the Degrowth week (another 500 participants). The academic discussions showed maturity, with many scholars with degrowth as their main research interest. This conference will remain in our memory because of the vibrant the social life in the city of Budapest. The sixth International Conference on Degrowth for Ecological Sustainability and Social Equity – ‘Dialogues in turbulent times’ – took place in Malmö (Sweden), 21-25 August 2018. Parallel to this, two complimentary and twin events will take place. The First North-South Conference on Degrowth: ‘Decolonizing the social imaginary’ (Mexico City, 4-6 September 2018); and Degrowth in the EU Parliament: Post-growth conference to challenge the economic thinking of EU institutions with influential EU policy-makers (European parliament, Brussels, 18-19 September 2018). A central feature of the conferences has been direct participation and collaboration among participants. The international conferences on degrowth are central landmarks and moments of convergence of the international degrowth intellectual and social movements. They offer an unique opportunity for bringing together scholars with other members of civil society and demonstrating a different way of organizing conferences. The past international degrowth conferences have been strongly influential in defining and opening new research and political fields. They have been inspired by social movements and experiments, and developed policy proposals as well as initiatives in a wide range of areas. And besides all this, they managed to attract not only significant participation but also attention from the general public and the media. There is now a significant momentum, academic and political, around the idea of degrowth. 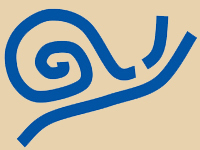 Other conferences, research projects, courses and summer schools on degrowth have taken place in the same spirit in India, Quebec, Canada, England, Sweden, Greece, Czech Republic, Finland, and the Basque Country. Each of these conferences has done a lot to advance the scientific discussion around degrowth, and to make the debate publicly visible. One sign of the success of the conferences as well as other mentioned initiatives is the substantial body of research on Degrowth published in international academic journals (over 200 articles and 8 special issues that have gone through peer review processes). Reference books like the « A degrowth project » or « Degrowth: A Vocabulary for a New Era » have been translated in more than 10 languages. For a more detailed account of achievements in terms of publications, training and more recently policy making, see this article. The SG thanks all organizers and participants of the past conferences and is looking forward to a new decade of degrowth networking, activism, research and transformation. If anyone is interested to organize future international degrowth conferences, please do not hesitate to contact the Support Group. – Budapest (2016): Lidija Zivcic, Mladen Domazet and Vincent Liegey. Published on the Ecologist, 29th August 2018. And also: The rise – and future – of the degrowth movement.